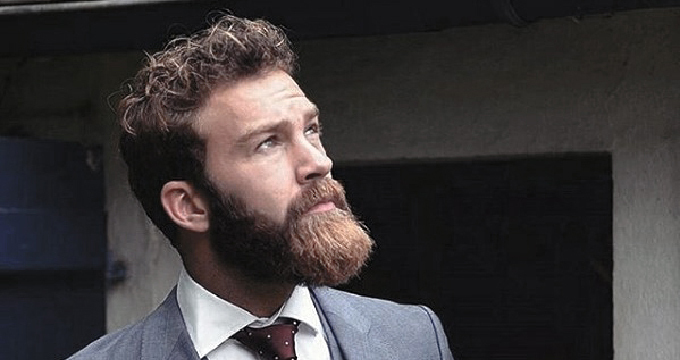 If you are looking into getting better beard growth, there are a few things you should consider. Some of these are diet and lifestyle factors, others depend on the products you use on your beard. We are here to help you out on your quest to grow the perfect beard! Whatever your beard texture is, whether it is tight and trim, flowing and long, or anything else in between, it should be well-groomed. The tool for this is beard oil. Beard oil is used just like conditioner for your hair, only that it is used on your beard and keeps the face hydrated as well. It is imperative that you do not use regular soap or shampoo with synthetic ingredients on your beard. This will make the hair dull by drying out the natural oils. Instead use products that includes soyabean oil, cocoa butter, castor seed oil, and organ oil which helps with hair growth. Do not neglect the pores of your skin. They need nourishment and in fact, the facial skin is more delicate than any other skin on your body. Facial skin tends to dry up quickly, and can affect beard growth. Beard oil that combines the qualities of a quality beard balm is perfect for this job. It is also crucial to brush your beard. Use a special beard brush to gently untangle hair which will also improve circulation in the skin. Brushing will also help spread the beard oil evenly through the beard which helps minimize breakage of hair. Another aspect is your diet. Keeping a healthy diet with nutritious foods will greatly enhance your skin and hair. It is recommended you get plenty of beta A carotene, vitamin A, milk, cheese, eggs, and butter. Beta A carotene can be found in green, yellow, and orange produce such as carrots, kale, and pumpkin. You may also use supplements like biotin which helps the keep the skin, hair, and nervous system healthy. It is also important to keep hydrated by drinking plenty of water which will keep the body clear of toxins.